With many new acne remedies on the market promising clear skin, it is easy to forget about time-tested products that have helped cure acne for years. Brands like Noxzema, Clearasil, Stridex and Queen Helene have stocked the shelves of drug stores for years and their products still bring relief to acne sufferers. Cleansing the skin is the first step to preventing blemishes and Noxzema’s cleansing cream has been removing dirt and oil from faces since the 1920s. Noxzema uses eucalyptus, camphor and menthol to create a tingling feeling when it is applied to skin. The product can be used to clean skin, remove makeup and condition skin to prevent excessive drying. It can also be used as a shaving cream. Noxzema cleansing cream is packaged in a distinctive small blue tub, but it can also be purchased in a pump container. It can be found at most grocery and drug stores. Stridex cleansing pads help to clean skin even more thoroughly than a normal cleanser. The pads are used after washing the face. When swiped across the surface of skin, the pads help to remove excess oil and dry out blemishes. Stridex pads work by dispensing salicylic acid to pores. 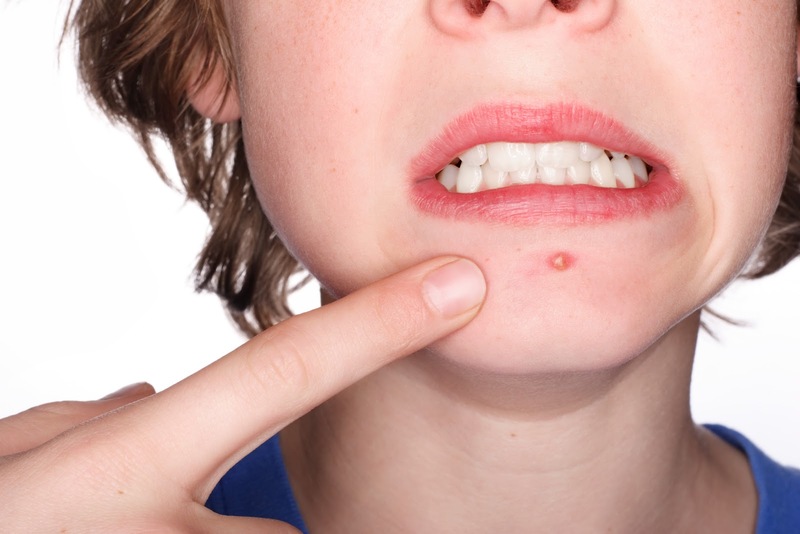 Salicylic acid works to eliminate oils and bacteria that cause pimples. The pads also contain vitamins A, C and E that help to condition skin. Stridex pads are also alcohol-free which helps to prevent excess drying of the face. Stridex pads come packaged in a blue box containing a small tub of medicated pads. They can be purchased at most drug stores. After cleansing the skin, acne spot treatments and spa products can help to eliminate pimples and blackheads. Queen Helene Mud Pack and Mint Julep Masques have been used since 1930 to extract impurities from pores in skin. The masque is used once a week to shrink pores and correct oily skin. The masques are made up of kaolin clay, which is a natural ingredient that helps to dry oily skin and pull bacteria out of pores. The kaolin clay is extremely effective for clearing up blackheads. Queen Helene masques can be applied after cleansing the face. While the face is still wet, the masque should be lightly spread onto the face. The clay should then be allowed to fully dry before washing the masque from the face. Clearasil vanishing cream is another product that helps to cure acne by delivering a concentrated dose of medicine directly to zits. The vanishing cream can be applied topically to any problem areas to dry up blemishes and eliminate excess oils and bacteria. The active ingredient benzoyl peroxide works to treat acne by eradicating oil and drying out pimples. The cream can be applied by hand to affected areas up to three times daily to quickly shrink zits and cure acne. Both Queen Helene and Clearasil products can be found at most drug stores. Queen Helene masques come in tubes and Clearasil cream is packaged in a small box that holds a small tube of the spot treatment. The products above have helped generations of people to get rid of acne. These products have been tested throughout the years and still provide an economical solution to acne. Today acne-sufferers can use any of the products together or alone to see less pimples and improved skin clarity.